This superb gift hamper is abundant in refined beverages, non-alcoholic drinks, gourmet food produces and something for the sweet tooth. It even includes an impressive Alderton ham weighing at least 1.4kg! 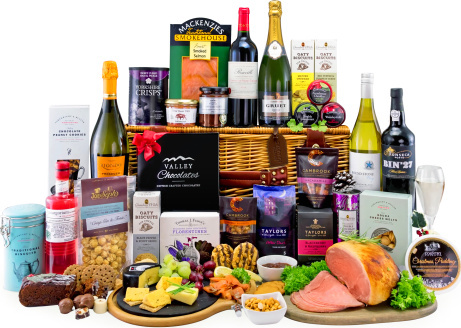 Order this hamper for yourself and your family or send to a very special loved one. With all of these luxury foods and beverages, this really is the Ultimate Christmas Celebration! Cheese and ham board shown for illustration.